During our cruise in the Caribbean, we discovered that their cuisine celebrates life with plenty of flavor. (You can read about it here.>) Our arrival in Tulsa was celebrated with a visit to Sisserou’s Caribbean Restaurant. We parked in the Brady Arts District, and made our way to lunch. This area of the city is filled with many dining choices, and we would find ourselves returning a couple more times. For now, we were concentrating on this location. 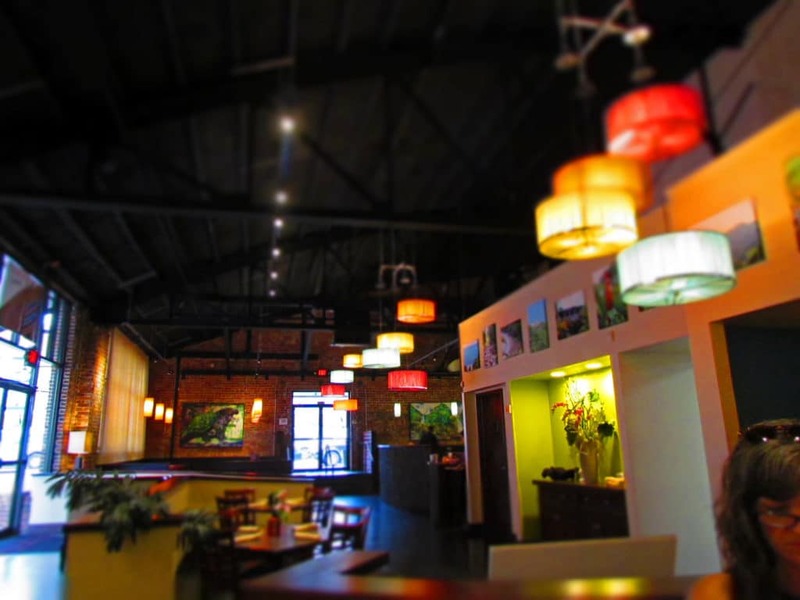 As soon as you enter Sisserou’s it has a vibe that replicates some of the finer restaurants you find in the Caribbean Islands. 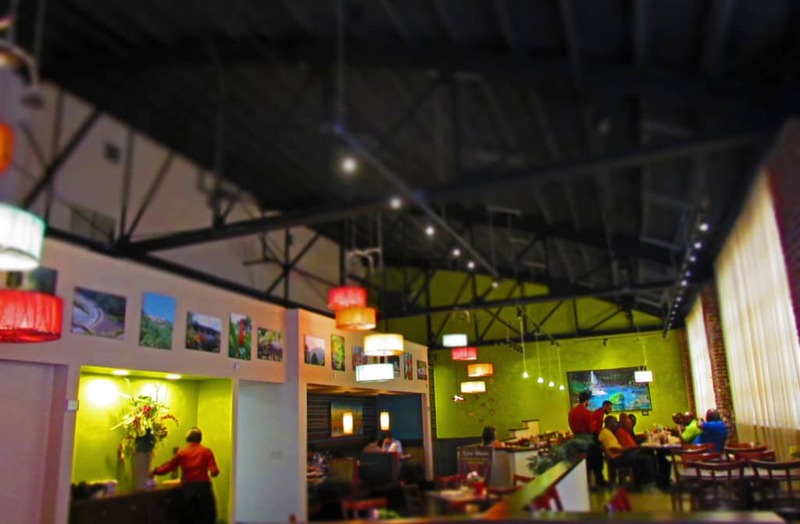 The bright colored walls and lampshades are playful, without being too garish. The area closest to the entrance contains the bar, as well as seating that is primarily booths. We didn’t walk over to the bar area, but it looked like a nice place for a Happy Hour get together. According to their website, they offer live music at times each month. If you visit in the evening, it would be worth checking their event calendar. We arrived right after they opened, so we were able to be seated immediately. The main dining area is comprised of tables on an elevated platform. Our server arrived, and went through the menu with us. The menu at Sisserou’s is filled with lots of dishes that would be commonly found in various islands. Many of the dishes are available for at or less than $10.00, which was a definite draw, when I was scoping out potential stops. The restaurant is owned by a couple, and I had a brief conversation with one of them. We discussed the overall theme, decor, and the cuisine choices. 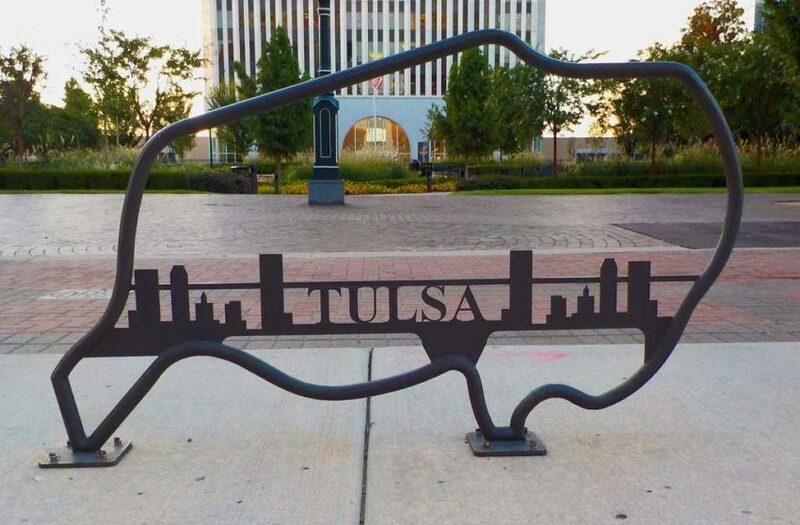 It was obvious that they are proud to be able to share their favorite dishes with Tulsa. The dishes our server had described certainly made our choices more difficult. So many sounded delicious, but we knew that we should take care not to get over stuffed. While we love food as much as anyone, when we are researching we know that we need to leave some room for possible treats we may uncover at places along the way. With this in mind, Crystal decided to test out one of the special menu items, and ordered the Jerk Chicken. It’s a marinated chicken breast, that is grilled to match the flavor of Nassau. 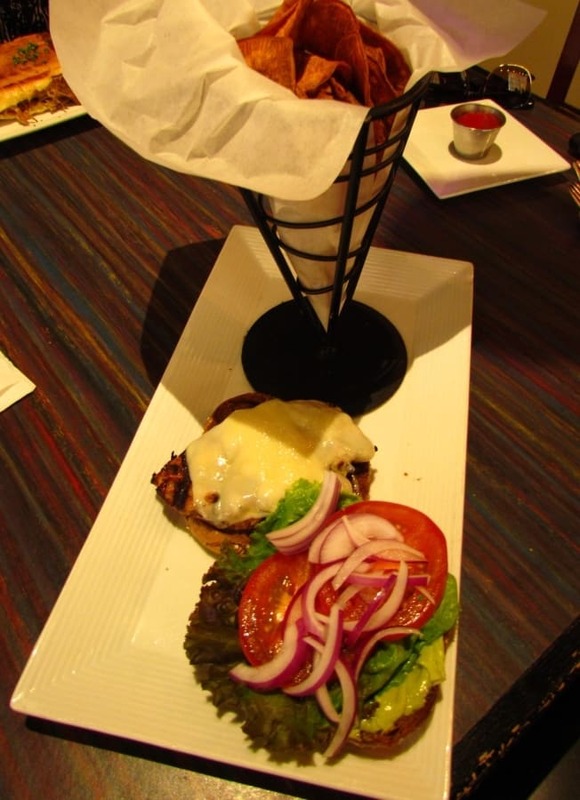 Served on a wheat bun, it is topped with Swiss cheese, lettuce, tomato, red onion, and a creamy avocado sauce. Her side choice was the sweet potato chips, which are tasty without being overly seasoned. 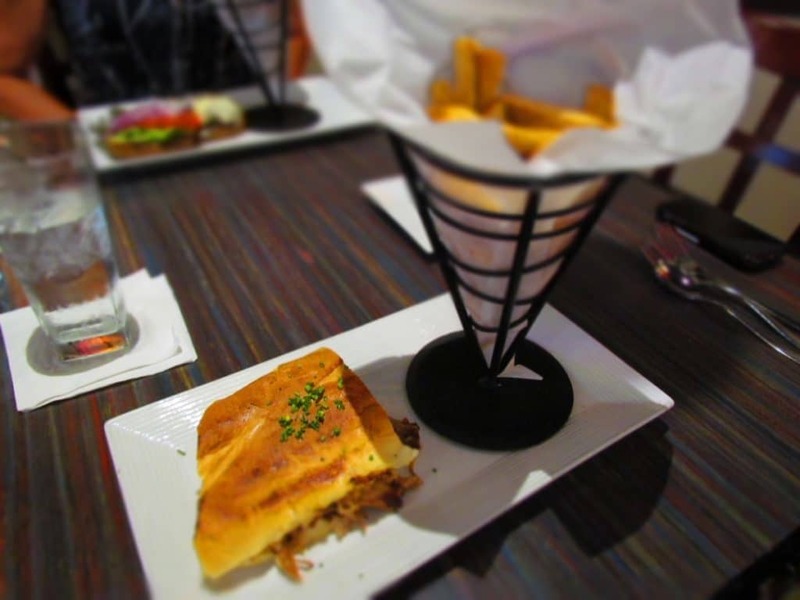 If you have followed our travels for long, you know that I have a thing for a good Cuban Sandwich. The history of this savory sandwich is a little hazy. These days it is widely believed that the sandwich was brought to America by those coming from Cuba, to work in the cigar factories in Tampa. Whoever was responsible, I am truly grateful. At Sisserou’s the shredded pork is marinated in a traditional citrus blend. It is topped with ham, Swiss cheese, sweet pickles (an unusual choice), Dijon mustard, and their homemade habanero mayonnaise. Usually the Cuban sandwiches I have tasted use a sour pickle, but with the addition of the spicy mayo the sweet pickles worked great. One of the top 10 I have ever tasted. With our first meal complete, we headed out to see what else Tulsa held in store for us.